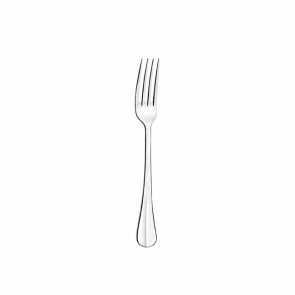 Table forks are of upmost importance to take your meals and for your table setting. It is generally used to savour meat, pasta or rice. Whether at a top-notch restaurant or in a more casual dining environment with friends, this tool always manages to enhance the tasting pleasure. It reminds us of so many good memories: the Sunday roast or steak. Sometimes with a yesteryear charm or a sleek modern design but always matching the table knives, it keeps reinventing itself! 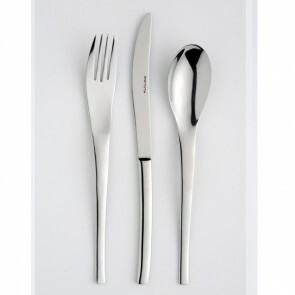 And for special occasions, we even give it special attention with the use of themed cutlery holder. 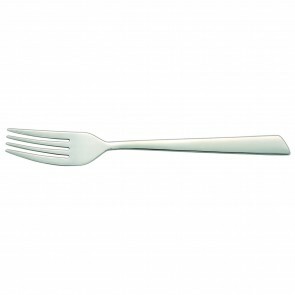 If we cannot know for sure its origin, the use of the fork is recorded for the first time in Italy in the Middle Ages. It was used for pasta tasting. 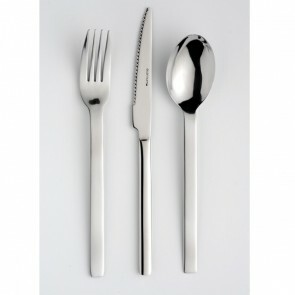 During a stopover in the Dolce Vita country, Henry III brought back these utensils in his suitcase in 1574 in France. The French king found it particularly useful to use in order to avoid staining his huge ruffles. 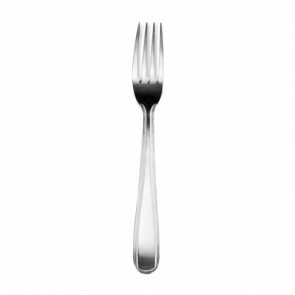 Their functionality quickly made them indispensable in the silverware before they finally became a must beloved tableware item. Nowadays it has three teeth and we find it particularly in stainless steel, bamboo fiber, melamine or solid silver for goldsmithery collectors. 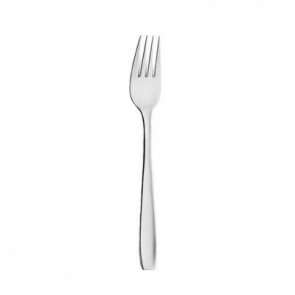 But it is undeniably the stainless-steel cutlery which is highly appreciated today. They combine indeed many advantages: corrosion resistance, durability, ease of maintenance (dishwasher safe), variety of finishes (shiny stainless steel, polished stainless steel, patterned finishes etc.) and furthermore, they are most of the time not very expensive. 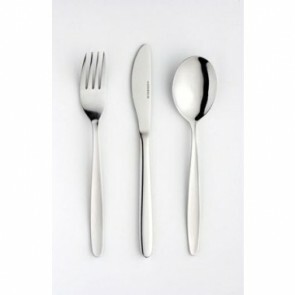 Cutlery in silver and silver metal for example, require a manual cleaning to avoid damages. To set a table is a real art! Precise rules must be followed when setting a table for a refined meal. For special occasions it is essential for the host to place the dishes elegantly. Once you have put your impeccably ironed table linen and you have finished folding your towels it is time to set up your table service and follow golden rules of table dressing. First, place your soup plate on your flat plate. According to the protocol rules, table cutlery must be arranged according to the service order. So, the first ones that will be used must be furthest away from the plate. 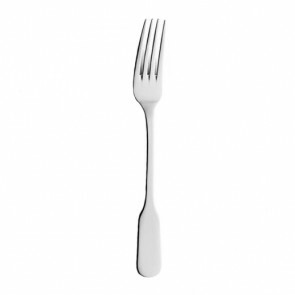 The table fork is placed on the left of the plate since it will be used for the main course. 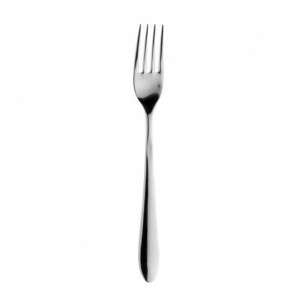 The fork for hot starters and cold starters will be placed to the left. In contrast, the knives and tablespoon should be aligned to the right of the plate. 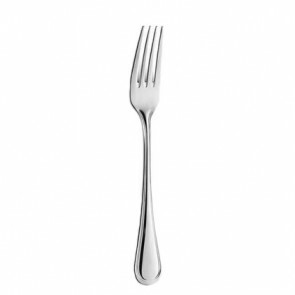 According to the French tradition of cutlery layout, the forks are placed tip against the table surface. A salt and pepper mill can be placed at the end of the dining room table. The water glass is placed in front of the plate and the red wine glass is slightly to the right. The white wine glass should be placed to the right of the red wine glass. For special occasions, plates and cutlery set themselves apart with their best features to be in harmony with the table decoration. For a bohemian or country table decor, choose for example jute cutlery holders with lace or fringes. For a beautiful Christmas table with a unique design, customize your napkin rings and cutlery holders with red berries, mini wooden pines and poinsettia flowers that you will also use for the centerpiece. 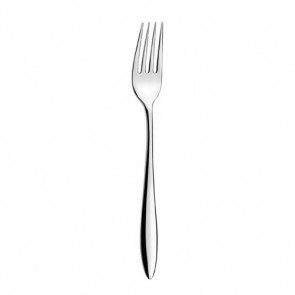 AZ Boutique offers you its selection of tableware with a wide range of cutlery in stainless steel or silver metal combining comfort of use and elegance for exceptional meals: spoon, teaspoon, table fork, fish fork, dessert fork, table knife, dessert knife, fish knife. 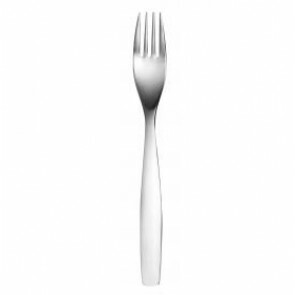 You will also find disposable cutlery and wooden cutlery for your picnics and barbecues and other receptions.